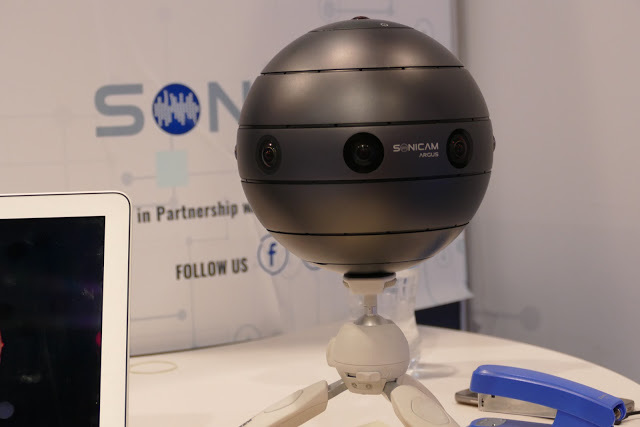 Sonicam is a 360 camera that can capture 4K video in 2D or 3D with realtime stitching, and it can also capture 3D spatial audio using 64 microphones (!). I posted about it previously and I got to see it at NAB Show 2017. According to Sonicam staff, the retail price will be $4,000. However, there will be a Kickstarter in May where it will be available for $2,000, with delivery scheduled in October. You can sign up to be notified here.